The implementation of the Obstetrics and Gynaecology Department in the Santa Maria Hospital, previously known as Lisbon Teaching Hospital, occurred soon after its inauguration on December 8, 1954. It was one of first departments to be integrated into the new building. The goal of the creation of this Department was to support education in the Obstetrics and Gynaecology Clinic of the Faculty of Medicine of the University of Lisbon which until then worked in the Magalhães Coutinho Maternity, located at the end of the North-West wing of the building, namely on Floors 4,5, and 6, the latter of which included the delivery room. This department was responsible for seeing and admitting patients from the departments of Paediatrics, Obstetrics and Gynaecology. The emergency department was open 24 hours. Prof. Fernando Freitas Simões (1890-1972) was the first director of the Obstetrics and Gynaecology Department, a position he held between 1954 and 1960. Besides being doctor and university professor, he was director of Alfredo da Costa Maternity, in 1942, and president of Portuguese Medical Association in 1944. He also had important political-administrative and parliamentary career. He retired in 1960, being succeeded by Prof. D. Pedro da Cunha in 1962. The appointment of this Professor as Director of Department was not peaceful because, even though there were only two candidates for that role, Prof. Pedro da Cunha was specialised only in Obstetrics, while the other candidate, Prof. A. Castro Caldas, had two specialisations: Gynaecology and Obstetrics. During his mandate, and as a result of some financial support, a new Delivery Ward was inaugurated which is still operating today, replacing the one that existed since the Hospital’s inauguration. After his retirement in 1969, he was succeeded by Prof. A. Castro Caldas in 1972. 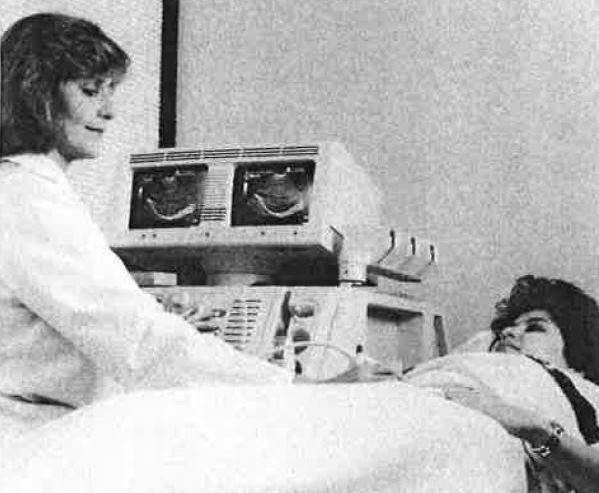 During his mandate, the first cardiotocograph, echograph and laparoscope in Portugal were implemented in the Gynaecology and Obstetrics Department, thanks to the support and sponsorship of the Calouste Gulbenkian Foundation. He was one of the greatest obstetricians of his time, promoting the quality of medical education, especially in the area of Gynaecology and Obstetrics. He promoted Maternal-Fetal Medicine and Gynaecology as an individual specialisation, and not as an extension of Surgery as until then. Afterwards, the position of Director of Department was held by Prof. A. Pratas Ferreira who besides implementing gynaecological laparoscopy techniques in Portugal, also promoted introduction of innovative methods which allowed the first “IVF baby” in Portugal to be conceived and born in the Santa Maria Hospital. In addition to the Central Library of the Faculty of Medicine of Lisbon, virtually all the Departments of the Santa Maria Hospital had their own library that, in most cases, survived to the present day. At the time, Prof. Miguel O. Silva was in charge of the Library of the Obstetrics and Gynaecology Department (4th Floor). For medical reasons, Prof. Pratas Ferreira retired in 1995. Between this year and the year 2000, the Department remained static, having no Director. In 2001, Prof. Luis Mendes da Graça (1946-) was appointed as director of the Department of Obstetrics and Gynaecology and Reproductive Medicine of CHLN and University Professor of the FMUL until 2016, the year of his retirement. Working as Associate Professor, he delegated the Direction of the Gynaecology Department and the coordination of the Reproductive Medicine Unit of the Department of Obstetrics, Gynaecology and Reproductive Medicine of the Lisboa Norte-HSM Hospital Centre to Prof. Calhaz Jorge. He completed internships in Fetal Medicine at the St George’s Hospital, in London, and in Saint Louis, in the USA, at the St John’s Mercy Hospital. Since 2007, he is the founding President of the Portuguese Society of Obstetrics and Maternal-Fetal Medicine, a collaborating with the Medical Association and being a member of other similar organisations. He has received various national awards and is the author of several publications. As for Department he directed, he enabled the creation of new units and the restructuring of some of the existing ones, for instance, the new Laboratory of Reproductive Medicine techniques and the Gynaecological Surgery Block. Prof. Carlos Calhaz Jorge (1951-) has been holding several positions in this Department since 1997, namely Responsible for the Pluridisciplinary Unit of Human Reproduction and Director of the Gynaecology and Obstetrics Department of the HSM, which he still holds day. In 2005, he completed his PhD in Gynaecology at the FMUL. He was Assistant Professor of Obstetric and Gynaecological Clinic. He has been actively taking part in numerous national and international scientific meetings. He is the author and co-author of several communications both in Portugal and abroad. He is a member of the Portuguese Society of Gynaecology, the Portuguese Society of Reproductive Medicine, the American Society of Reproductive Medicine, the European Society of Human Reproduction and Embryology, the International Menopause Society, and the Directorate of the College of Gynaecology and Obstetrics of the Medical Association. Dr. Nuno Migueis Clode (1960- ) graduated in Medicine at the FMUL in 1984, and completed the Complementary Internship in Obstetrics and Gynaecology at the Santa Maria Hospital, in 1984-87. He received the title of Specialist in 1992 at the HSM. He was the Director of the Department of Obstetrics and Gynaecology and Reproductive Medicine of the HSM between 2016 and 2018. Assistant Professor of Obstetrics and Gynaecology at the Faculty of Medicine of the University of Lisbon, he collaborates with the Portuguese Society of Obstetrics and Maternal-Fetal Medicine, and is also the author and co-author of numerous communications and articles published in scientific journals. Currently, the position of Director of the Obstetrics Department of the Lisboa Norte Hospital Centre is Prof. Diogo Ayres de Campos. Nowadays the Department of Obstetrics, Gynaecology and Reproductive Medicine of the Santa Maria Hospital (CHLN), provides numerous competences in the field of Gynaecology, Obstetrics, Reproductive Medicine and Maternal-Fetal Medicine supporting pre- and post-graduate education and research. As for the Obstetrics Department of the Hospital of Santa Maria, it is considered one of the best at the national level together with the Alfredo da Costa Maternity, a reference unit for pregnant women with pathology covering the region between Leiria and Algarve.